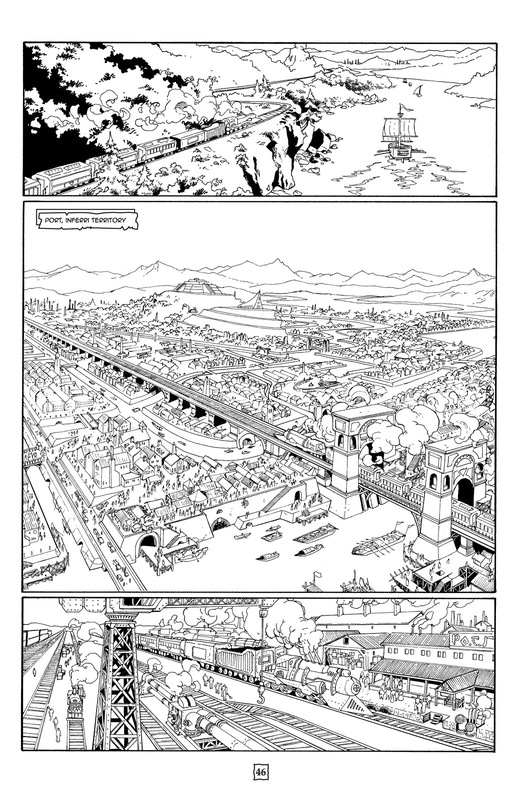 Like I said in this post, my new graphic novel The Chronicles of Era is a hodgepodge Frankenstein of fantasy, science fiction, anthropology, mythology and whatever interests me that I feel might fit into the world (short answer: virtually anything). One of the biggest themes that was the backbone of the Mast-Era-don skeleton was the clash of cultures. The idea had started with reading books like Frank Herbert’s Dune (the Fremem vs. the Imperium) and Tad Williams Memory, Sorrow, Thorn Trilogy (The Sithi vs. humans). 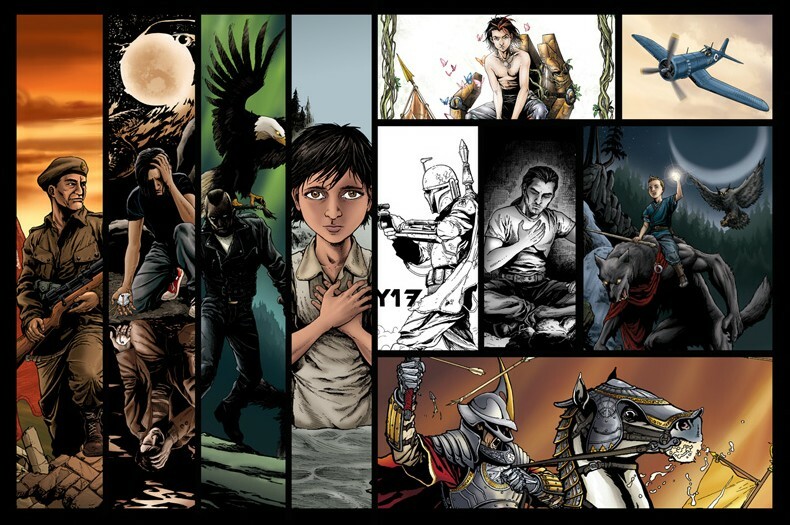 The ideas that I got from those books were accentuated when I read Daniel Quinn’s Ishmael and Story of B. In Quinn’s books he doesn’t make distinctions between the superficial differences between cultures—of Islam vs. Christianity, or even East vs. West)—but the similarities between these cultures at a fundamental level versus older cultures that operate under completely different principles. The distinction is drawn between civilization and tribal cultures; of how cultures that practice (totalitarian) agriculture operate in a particular way (and how this practice affects and permeates all other facets of the culture) that is very different than Tribal cultures (usually hunter/gatherer or low level agriculture/horticulture). 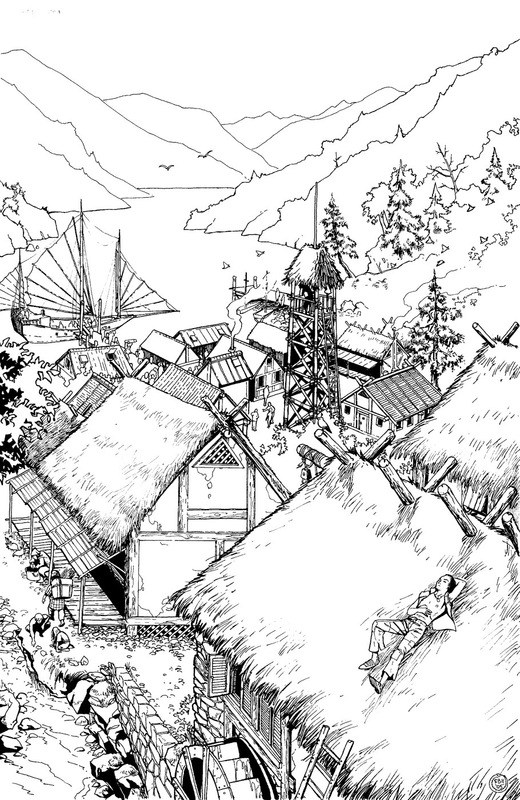 In Book 1 of The Chronicles of Era, Seth comes from the village of a remote, agricultural group of people, The Joshians. Centuries ago during a bloody war that was tearing the Independent Colonies apart, Joshia led a group of families away from the core cities of the Illiam. They settled far beyond the borders of the Illiam. They made for themselves a simple life dedicated to farming, herding and tending to their kin. The Illiam Imperium has been working for centuries at expanding and taking command of its lands. It has expanded into the boundaries of the Joshian Nation and threatens to take their lands, take their kin and take away their way of life. It is their divine right to have dominion over the earth. Check out the Indiegogo campaign running now. 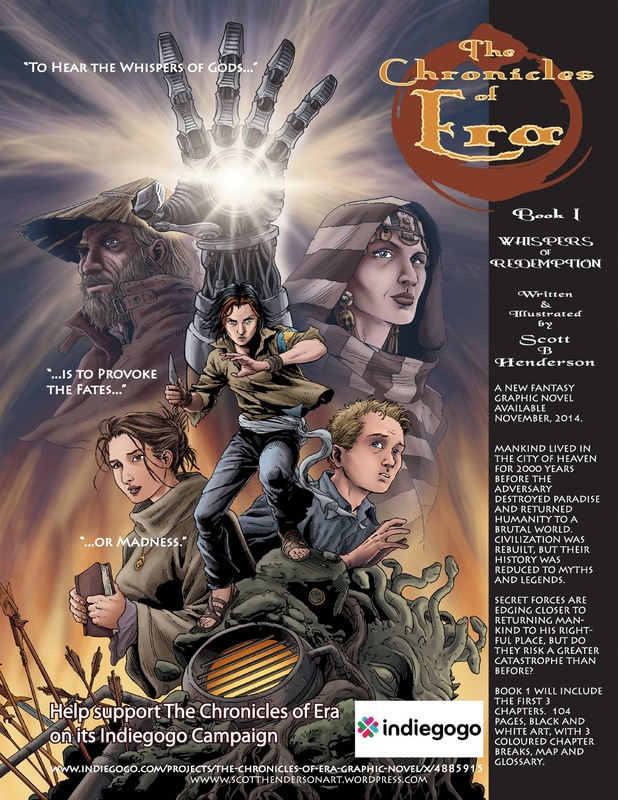 Help broaden the audience that can see this new fantasy graphic novel.